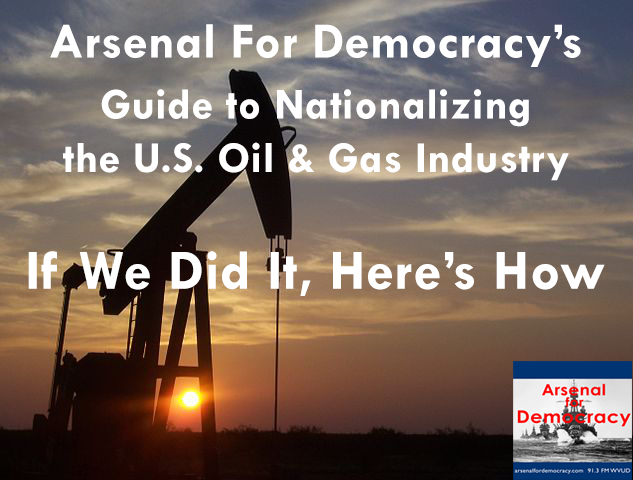 The beginner’s guide to a pragmatic government purchase of the US oil and gas industry to wind down fossil fuel production rapidly in the global public interest. People: Bill and Nate Produced: Aug 13th, 2017. You can find a complete list of our reference materials here. You might also want to listen to Ep. 178, on climate austerity in a state of emergency, which originally aired in April 2017. My quick summary of the story: Indigenous Canadians from the Unist’ot’en clan are physically re-occupying land, stolen from them over a century ago, to prevent environmentally destructive energy development by the Harper government and oil companies. 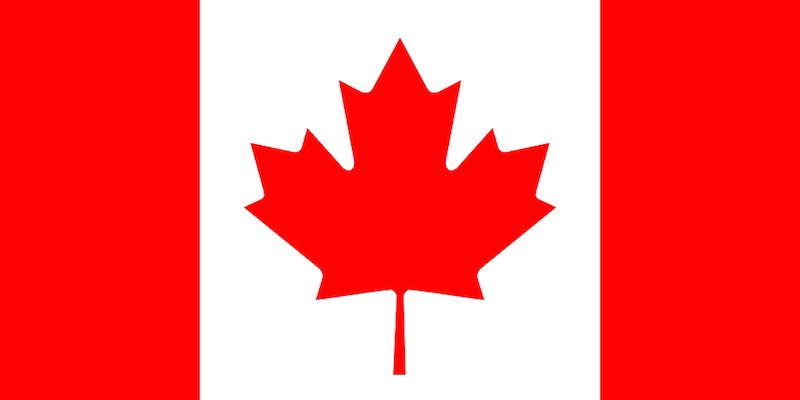 No wonder Prime Minister Harper reacted so angrily last year when the United Nations reminded him he is bound to receive “Free, prior and informed consent” from First Nations peoples when Canadian federal policies affect them and their sovereign nations. Free, prior, and informed consent tends to stop things like pipelines. Not everyone in the Nation, of course, is happy with the resistance. Some chiefs seemed more supportive of the oil companies than of the efforts to block the pipeline, claiming it would be economically beneficial to their Nation. 4. Arms Sales: “Strip these things away and what’s left is the arms sales. These at least have the virtue of being nakedly self-interested. […] yet America need not be so eager to put principle aside when dealing with its old ally” [merely to sell arms to Saudi Arabia]. Read the full article for explication/justification of each of these quotations. 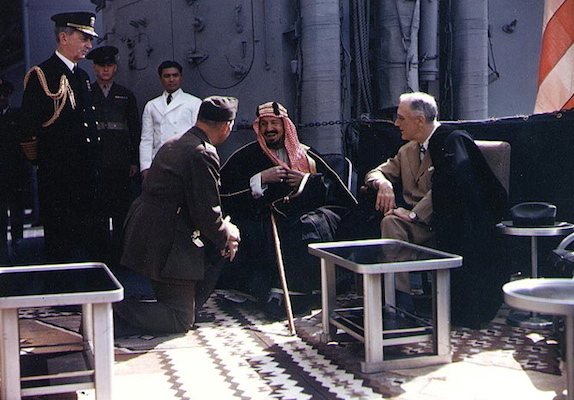 Pictured: FDR meeting with King Ibn Saud, of Saudi Arabia, on board USS Quincy in Egypt, on 14 February 1945. Africa’s energy industry could boom in the coming years, with Mozambique and Tanzania set to emerge as new frontiers if they can attract enough badly needed investment, a report said recently. Six of the top 10 global discoveries in 2013 were made in Africa, with more than 500 companies now exploring across to the continent, according to a study by PriceWaterhouseCoopers. Large gas finds in Mozambique and Tanzania would make the world “take note of east Africa as an emerging player in the global industry,” said the report’s advisory leader, Chris Bredenhann. The boom has brought investment opportunities, despite the lingering challenges of corruption, lack of infrastructure and regulation. Transactions worth some $1 billion occurred every 17 days in Africa’s oil and sector last year, the report said. Still, the continent faces fierce competition for vital investment from other parts of the world, the PWC report cautioned. As noted above, public theft of revenues remains a huge challenge if ordinary Africans are to receive any benefits from this expansion of the resource extraction industry — rather than simply being exploited once again. Moreover, it is always critical to avoid becoming economically and societally dependent on the export revenues of a single natural resource. Reports from the Tanzania Petroleum Development Corporation (TPDC) show that gas deposits have now reached 50.4 trillion cubic feet (tcf), increasing anxiety among the population which now thinks Tanzania is on the way to becoming another ‘Dubai’. Experts term this as ‘extremely high expectations of super earnings’ and no wonder the Parliamentary Public Accounts Committee (PAC) was so adamant that it set its eyes on the 26 PSAs that have been signed between the Government through the TPDC and the exploration companies. Ask anyone on the prospects and the answer would be trillions of dollars in super earnings. However, according to oil and gas experts, the expected high earnings could remain a dream because of a number of factors including more gas discoveries being made elsewhere around the globe which could lower prices due to stiff competition. These include discoveries in other countries of the region such as Mozambique which has proven reserves of gas amounting to 150 million tcf, discoveries from other continents discoveries from unconventional sources such as shale gas. Shale gas in the United States is rapidly increasing as an available source of natural gas. The view has been strengthened by a Dar es Salaam University Don, Dr. Alex Hepelwa who has asked Tanzania to tow a precautionary line over expected gas earnings, emphasizing the need to develop a strong internal market through increased use of gas for domestic and industrial purposes. Simply put, the more unconventional fields discovered and opened around the world, the lower the wholesale oil and gas prices will fall due to competition, and some of the more difficult reserves (both technically and governmentally) to develop will continue to remain just out of reach. As always, establishing transparent governance and enforcing the rule of law are prerequisites to any country or region receiving durable and useful foreign direct investment and benefiting from the arrival of new industries. They cannot come later. Such measures attract stable partnerships with good-faith actors and help ensure that the local population is not being played. They also promote sounder and broader-based long-term investment of national natural resource wealth into human development for the whole population. State Attorneys General are ruining the Earth. Literally. Democrats for more than a decade have teamed up with environmental groups such as the Sierra Club to use the court system to impose stricter regulation. But never before have attorneys general joined on this scale with corporate interests to challenge Washington and file lawsuits in federal court. I’ll skip over the obvious in this statement (Democrats were trying to protect the air we breathe), and move onto the fact that this is incredibly dangerous and unprecedented business. David B. Frohnmayer, a former Republican Attorney General from Oregon noted that these Attorneys General are shamelessly using a public office to support corporate interests and their financial interests. While these gas and oil companies are reveling in the success of these shared efforts, Republican Attorneys General — who represent half the states right now — are reaping the benefits of raised national profiles and a club that acts like a national law firm. The club has systematically filed lawsuits against major federal policy, including the Affordable Care Act, securities regulation, and recently Obama’s action on immigration. Lipton focuses on one Attorney General in particular, Scott Pruitt of Oklahoma, a particularly proud collaborator with the industry. Mr. Pruitt’s office moved a couple words around in a three-page letter from Devon Energy, one of Oklahoma’s largest oil and gas companies, and sent it off to Washington on official state letterhead. One of Mr. Pruitt’s closest partners has been Harold M. Hamm, the Chief Executive of Continental Resources. Mr. Pruitt hangs out with Andrew P. Miller, a former Virginia Attorney General, who in turn has clients like TransCanada (aka the company behind the Keystone XL pipeline). Almost exactly a year after I published an op-ed calling on China to break tradition and contribute combat-ready peacekeeping infantry — something they’ve never done before — to the UN mission in South Sudan, they have announced they will be doing just that. It is China’s first UN peacekeeping mission that doesn’t just involve sending medics, engineers, guards, and other non-combat troops (of which they have sent thousands to UN-monitored conflicts all over the world). China is very likely the only country with relatively good ties to just about everyone in South Sudan’s crisis, due to its role as the primary buyer and developer of South Sudanese oil. Although they lean somewhat toward supporting the incumbent government, they also need the rebels to cooperate (to restore the oil production levels) and the rebels need China (to buy the oil from their areas and give them revenue). ﻿This gives China an unusual opportunity to be the force in the middle. But it is also a sign that China is stepping up its role and responsibilities in world affairs to a level proportionate with its size and power.